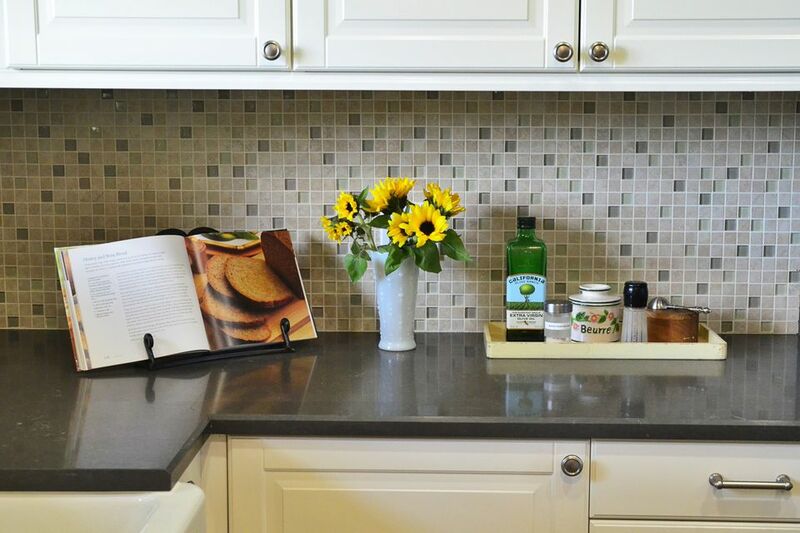 Natural cleaners and green cleaning products are a smart way to clean your house the safe, non-toxic way. Take a look at these 8 tips for green cleaning in your home with store-bought cleaning solutions, or try homemade cleaners for your kitchen, bathroom, toilet and windows. Got a green cleaning tip to share? Let us know by sharing your secret. There's absolutely nothing wrong with buying a commercial green cleaning product. These are, in fact, my personal preference because there's no mixing or measuring, and they do a good job with less "elbow grease." Truth be told, homemade or DIY cleaners like those listed above do a good job, but it usually takes more scrubbing and scouring to get surfaces as clean as a good-quality, green commercial preparation. Consider the many window, oven, floor, bathroom, kitchen and all-purpose cleaners made by Method, Seventh Generation, Simple Green, GreenWorks, Mrs. Meyer's, Ecover, Biokleen, Shaklee or other manufacturers. Prevent clogged drains with a strainer to keep hair, food and other stuff from building up in the drain. If you cook with a lot of oils, pour a pot of boiling water down the drain once a week to flush fats and oils away. When it's time to unclog, first use a plunger -- this often works better and faster than the most powerful chemicals. If that doesn't work, try a combination of 1/2 cup of baking soda, followed by 1/2 cup of white vinegar, then cover the drain if you can, and let the foaming pressure do its stuff. Other recipes call for 1/2 cup of salt and an equal amount of baking soda, followed by 6 cups of boiling water, wait a few hours, then flush with cold water. As a last resort, get a plumber's snake and "snake it out." There are a lot of different recipes out there that call for some combination of olive oil and vinegar. (Yes, you're cleaning with salad dressing, for a floor you could eat off). The ratio of vinegar, oil and water will vary depending on the the type of wood and the finish you have on top of it. For wood floors, try 1/4 cup of vinegar in 1 gallon of hot water. For wood furniture, start with 1 cup vinegar with 1 teaspoon oil. Clean your windows by adding 1/4 cup of vinegar to 2 or 3 cups of water. Some recipes call for a few drops of liquid detergent, and still others suggest you use only lemon juice added to water. You can use a newspaper to wipe, if newspaper inks don't bother you, or use a clean old cotton rag. If you don't have a self-cleaning oven -- or even if you do -- there aren't many green cleaning options, and commercial oven cleaners tend to be caustic products with plenty o' toxic compounds. Even so, I'm skeptical of how easy or effective any natural cleaners might be at baked-on sludge. Some folks recommend sprinkling baking soda on the oven, then sprinkling water on it, and leaving it to soak overnight. (No mention of how this will clean the sides of the oven, however.) Then, the next morning, scrub and scour like the devil in heat. Or, get a commercial oven cleaner, use it carefully, and don't feel guilty about it. Placing a layer of foil at the bottom of your oven will make this task easier next time. In an enclosed area with not-so-great ventilation and a lot of humidity, like your bathroom, green cleaners make a lot of sense. Use baking soda and vinegar as a toilet scrub, and borax gets rave reviews as a tub and tile scrubber. Don't kill yourself or your kids to get a sweet smelling house. The NRDC tested 14 different household air fresheners and found that 12 contained the hormone-disrupting chemicals known as phthalates. 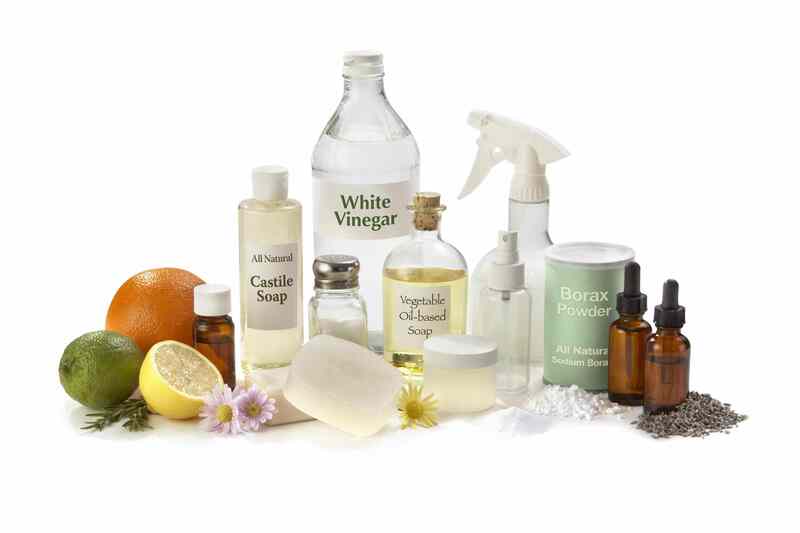 Keeping your house generally clean should eliminate any odors; or try natural odor-eaters like vinegar and baking soda. Best air freshener of all, crack a window!